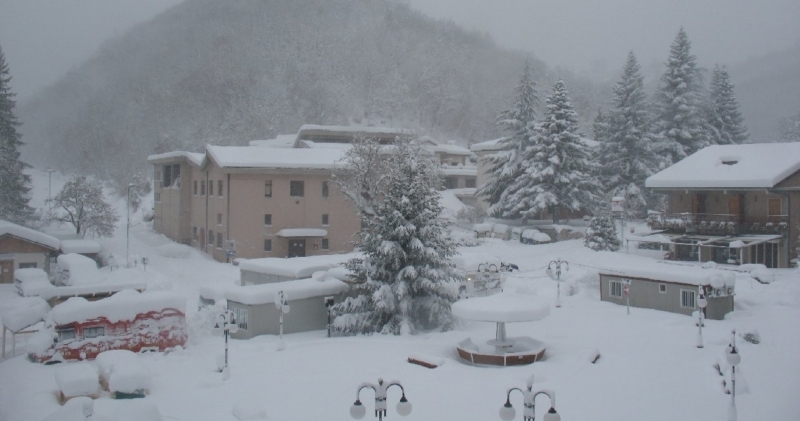 Nearly 80 cm of fresh snow reported at Campo Imperatore plateau, in Abruzzo, central Italy (Apennine mountains) on November 9th! Sudden, heavy rainfall was also expected in the north, in Piedmont, Lombardy, Veneto, Friuli Venezia Giulia and Emilia Romagna. Temperatures everywhere are forecast to drop sharply over the weekend, according to Meteo.it, and could fall by as much as 04 degrees Celsius in the north-east, where parts of the mountains are expected to see snowfall.